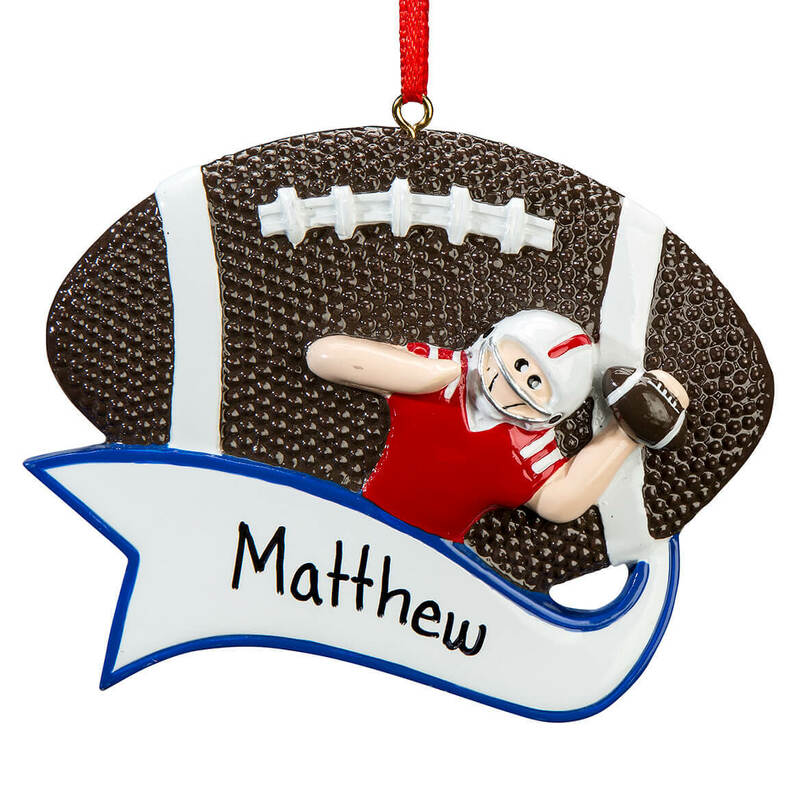 have a grandson who played peewee football this year and I always get an ornament to remember the occasion. My little grandson, age almost 7, played football this year. Thought it would be a nice thing to give him. Can you make his jersey blue ? ? That would be Awesome ! ! BEST ANSWER: Thank you for your question. Unfortunately the color of the ornament can not be changed. 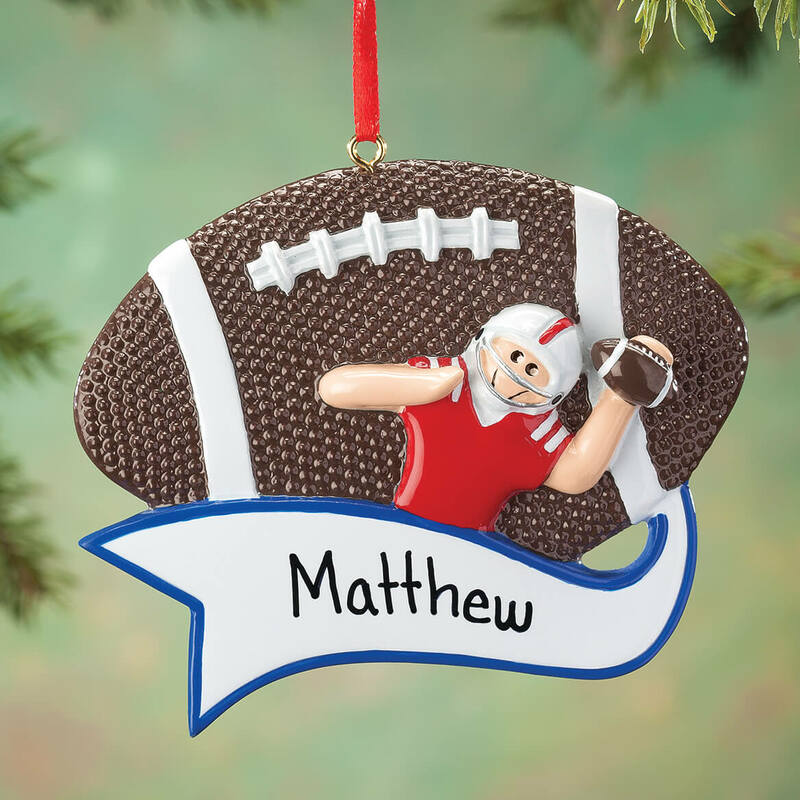 We only personalize the name. We hope this information will be of help to you.